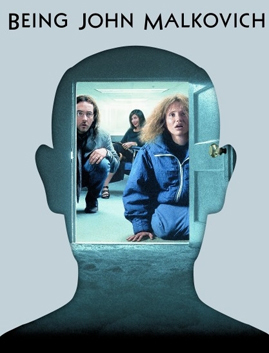 Being John Malkovich is a feeling that can only be understood through experience. Director, Spike Jonze, teams with Charlie Kaufman’s screenplay to create a film so captivating you question everything about your personal thoughts. The ideas and concepts behind this film open doors to infinitely distant possibilities. 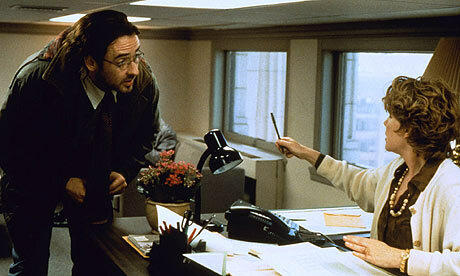 In Being John Malkovich the main characters, Craig and Lotte, play the roll of a desperate married couple. 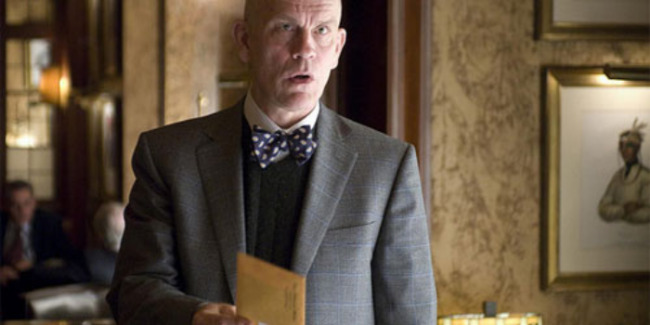 Craig's discovery of a portal into the mind of John Malkovich presents the opportunity for escaping the life he has. By being inside the mind of an individual different to their own, Craig and Lotte fuel their unanswerable questions. -"Nobody's looking for a puppeteer in today's wintry economic climate." Craig’s talent for puppeteering is an art that doesn’t go by unnoticed. His emotions of confusion are expressed through the puppets he so actively manipulates. With high goals but no job to reach them, Craig seeks appliance for his queer passion. His act as a skilled puppeteer highlights the true purpose behind the film's parallelism. Through his talent, he and every main character are portrayed as puppets in what they deem to be reality. The characters and objects in this film symbolize everyone’s influence on one-another and our control over nothing. A paradox relevant to the physical world we live in. -"Don't stand in the way of my actualization as a man." The idea of being inside someone’s mind is a concept impossible to imagine with complete accuracy. Even if your imaginations were some-what accurate, you would never know for sure until faced by the actual experience. In Lotte's constant search for knowledge, she enters the mind of John Malkovich; an experience that will forever change her views on life. Her individual consciousness is forced to coalesce with John’s, creating a new mind-altering experience. This experience reacts with her previous self; creating a new mind with an entirely different perspective. The periods of time she spends intertwined with John’s mind allows Lotte to reflect upon her own life in absolute clarity. -"I have been to the dark side. I have seen a world that no man should see." Charlie Kaufman’s concept of shared minds raises questions about the history behind our own consciousness'. Are we all a product of other minds? If so, it would explain why humans have different personalities and altering emotions. Lotte and Craige’s original state-of-mind differs from their thoughts preceding their new experiences. Two minds co-existent with each other generate an entirely different personality. Thus suggesting we have the capability to feed and learn off of each others’ information. We are not simply individually confined to our own existence. Our thoughts and actions are correspondent with those around us. We are unified; forever affecting each other’s thoughts on the realities we live in. -"Do you have any idea what it's like to have two people look at you, with total lust and devotion, through the same pair of eyes?" If you’re ever in the mood to broaden your imagination, you must experience this philosophical stimulant. Being John Malkovich is a film home to a witty, insightful screenplay. The story presented is not intended to have answers, but raise more questions. Before you denounce the situations in this film as far fetched, you must come to terms with one fact. Your mind is only a product fragmenting off what really exists in a never-ending universe of possibilities.